A perfect book to unshroud the mysteries of automotive electrics and electronic systems. The basics of electrical principles, including voltage, amperage, resistance, and Ohm’s Law, are revealed in clear and concise detail, so the enthusiast understands what these mean in the construction and repair of automotive electrical circuits. 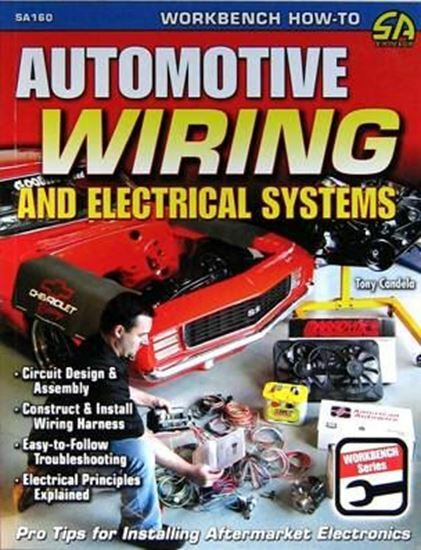 An essential guide for wiring a hot rod from scratch, modifying muscle car electrical circuits for cooling fans and/or power windows, or adding a premium stereo and other conveniences to modern performance cars.